We believe that a mask can really take an outfit to the next level. If you’re going out to a Burlesque themed event a Venetian masquerade mask can be a very classy finish to an outfit. We have masks of many varieties to choose from. 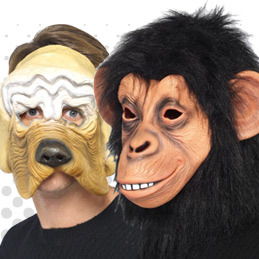 Children’s animal masks, to realistic over-the-head animal masks for adults to the classic Halloween mask! The new film ’Star Wars’, is soon to hit our movie screens. 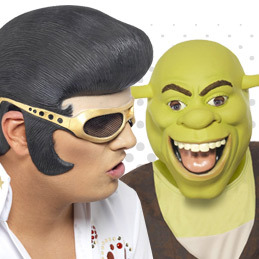 Take a look at some of the masks we have in stock for this very thing!